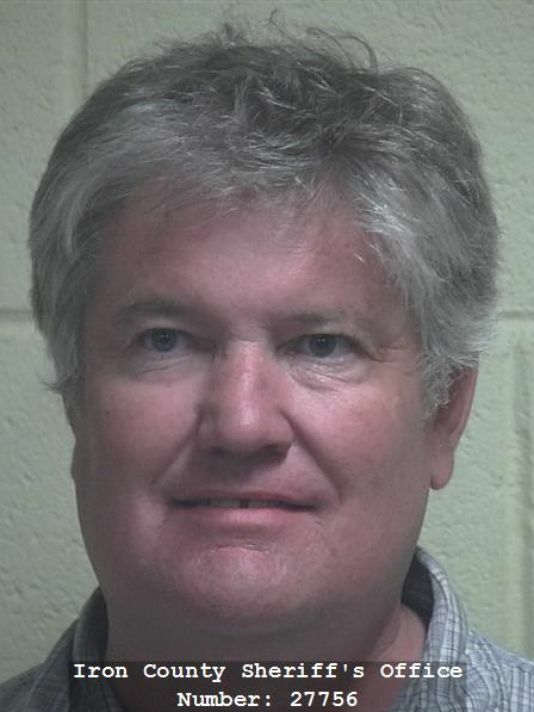 CEDAR CITY — A Cedar City Council candidate recently arrested for driving drunk said he still believes he is qualified for the elected position. Richard Gillette’s attorney, Jim Park, electronically submitted his client’s not guilty plea Thursday on two misdemeanor charges of driving under the influence and open container. He’s also facing an infraction for failing to yield. Gillette secured 9 percent of the total votes in last month’s primary, skirting by with just enough support to move him forward to the general election Nov. 7. He is running against former Utah Shakespeare Festival Executive Director R. Scott Phillips, incumbent Ron Adams and accountant Bruce Hughes. Voters have recently blasted the 52-year-old City Council candidate, criticizing his decision to remain in the race despite the criminal charges lodged against him. During an interview with Cedar City News Friday, Gillette elected not to speak directly to the incident in question but addressed the issue as it concerns his candidacy. Utah Highway Patrol Trooper Adam Gibbs was dispatched last Saturday, Sept. 9, to a bike shop on the 400 block of South Main Street on reports that a man was passed out inside the store at around 6:30 p.m., according to the charging documents filed in Iron County Justice Court. Gillette was gone by the time the trooper arrived on scene. Another officer found Gillette at the Diamond Z arena where he appeared to be passed out in the driver’s seat of his vehicle, the report said. When Gibbs arrived on scene, the trooper informed him Gillette was leaving the area — he nearly crashed into another vehicle as he exited the parking lot, the trooper said in his report. Gibbs initiated a traffic stop outside of the arena. Gillette allegedly refused to do the field sobriety test but struggled to exit the vehicle when Gibbs ordered him to step out. “I was afraid that he would fall on the ground,” Gibbs said. According to the trooper’s statement, Gillette had a skinned knee that appeared to be a carpet burn that he suspected the driver received from falling at the bike shop when he passed out. Upon conducting an inventory of the vehicle, police allegedly found a silver tumbler full of an “alcoholic beverage” and a whiskey bottle that was a quarter of the way gone. The report states that Gillette consented to a breathalyzer test blowing a .298 — nearly four times the legal limit of .08. The following day, the long-time Cedar City realtor admitted to The Spectrum and Daily News he had been drinking with some friends at the Great American Stampede Rodeo at the Diamond Z Arena. Gillette was booked into the Iron County Correctional Facility and immediately bailed out. 0.298 would be a huge factor in this guy’s fitness to serve the people of Cedar City. If we were debating about his alleged “impairment” with a BAC slightly above 0.08, that might be worthwhile discussing, but at almost 4 times the limit, there is no question he knew he was drinking to excess, and chose to drive, putting others at risk. Fortunately, no one was injured. This guy would have been a perfect fit for politics had he not gotten caught!!! A few years ago a state representative who was instrumental in passing some of the states strictest DUI law, was also arrested for DUI. There is no excuse whatsoever for a “public official” and so-called role model to have this kind of behavior….none! If Mr. Gillette had hit and killed someone with his vehicle while intoxicated, would he still be touting how fit he is to be elected? I agree, there is no excuse for his behavior.